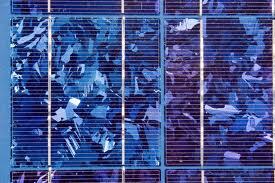 Solarworld had recently announced that it would get out of multicrystalline solar silicon cell and panel production as it was unable to compete with the much lower p-type monocrystalline solar cell production from China. The recent solar panel price bloodbath has made it extremely difficult for non-Chinese companies to operate with margins going into the negative. With solar panel prices showing no prices of recovering and even going lower, these western companies are facing deep troubles. Sunpower and First Solar both have cut down their capacity and jobs. Now the Taiwanese cell companies are also being forced to restructure hard. These companies which had manged to survive by selling OEM cells to Japanese and Chinese companies are getting squeezed. The Chinese have moved their production from Taiwan to cheaper locations in Thailand and Vietnam, as Taiwan has been included by the U.S. under the umbrella of anti dumping duties on China. These companies which have higher costs and prices than China are finding it hard to survive now. Neo Solar Power which is among the top 3 solar cell producers in Taiwan recently announced that it would close around 50% of its production capacity or 1 GW of cell lines. These are multicrystalline cell lines which it finds no longer profitable to operate. The company will focus on the monocrystalline PERC cell production which still remains barely competitive. Taiwanese cell producers are nearing their end game as massive Chinese solar panel companies completely take over the solar industry. These companies which survived on the margins for all these years have no way out. They cannot compete on costs or scale compared to the Chinese companies. They do not have a large home market to supply cells or panels as well. Though they have recently expanded into solar EPC and development, it looks like they will find solar production hard going forward. Neo Solar Power is also firing 20% of its workforce as it drastically reduces the scale of its operations. I think Motech and Gintech will not be far behind as their cost and technology structure is similar. It may be time to sell out to Chinese companies for them.